The bag that I made for myself 5 months ago. I went through trial and error with the sizing and the joining. In the end I really love how the bag turned out. Thanks Kristi and you too Michal. Hai Eham, the pattern is called single crochet spike stitch if you want to search more about it. Basically the stitch goes down to the previous row or rows below. 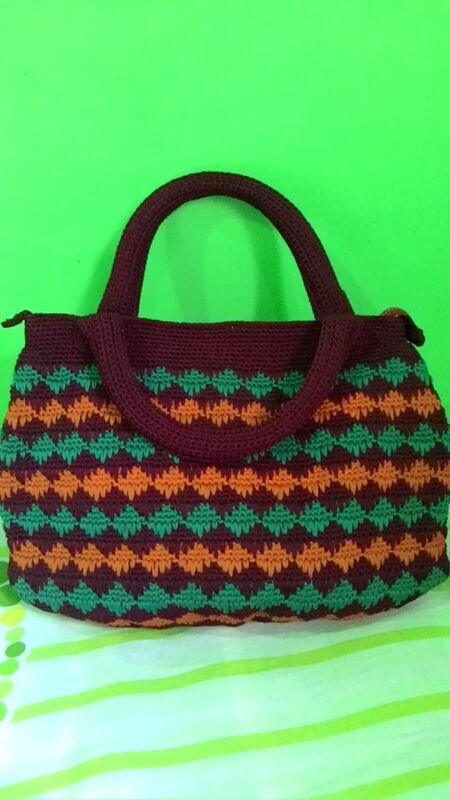 I used multiple of 6 stitches for this bag. Search about it first, single crochet spike stitch. I hope that helps. Let me know if you need more help.